iTunes has finally started carrying our podcast! I co-host a podcast called Today In Perspective, and would you look at this! Boy howdy! 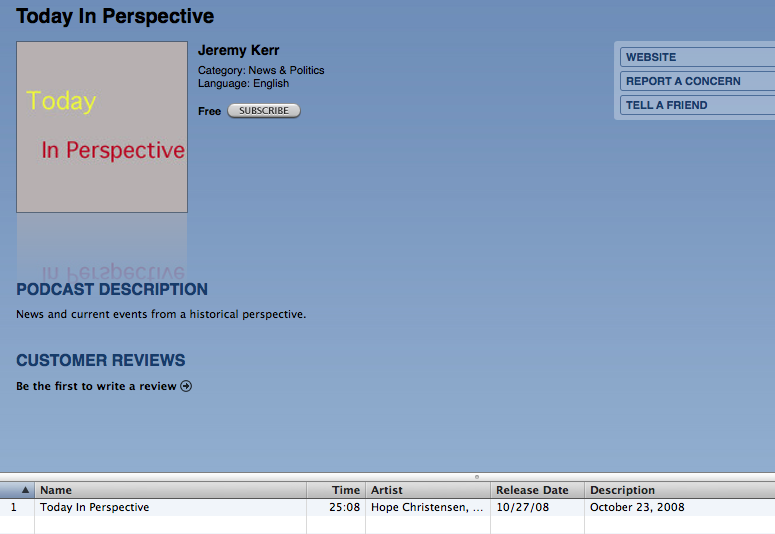 You can find it on iTunes or at our website, Today In Perspective. Episode 2, our Election Special show, will go up later today.